Hostname doesn't start with http:// or https:// . Solution: Add the http:// (or https:// if you have SSL on your OctoPrint instance) to the start of your host name. Hostname starts with 2 http:// prefixes (e.g. 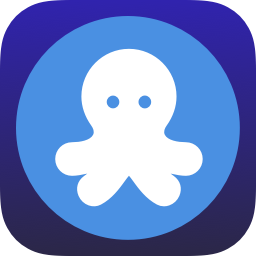 http://http://octopi.local). Solution: Remove one of the http:// prefixes. The iOS device running OctoClient is on a seperate Wi-Fi network from the OctoPrint instance, is connected to cellular data or is connected to a VPN, resulting in it being unable to reach the OctoPrint instance. Solution: Connect your iOS device to the same Wi-Fi network that your OctoPrint instance is connected to and disable any VPN connections. OctoClient is unable to connect to an OctoPrint instance on a corporate network. Solution: Contact your IT Administrator to ensure your iOS device is able to connect to ports 80, 443, or a custom-defined OctoPrint port on your OctoPrint instance, and that your iOS device is on the same VLAN or able to reach OctoPrint. OctoClient is unable to connect to a SSL protected OctoPrint instance using a self-signed certificate. Solution: Install the custom SSL certificate on your iOS device and enable full trust in the Settings app, under "General" > "About" > "Certificate Trust Settings"
Ensure API Key does not have a leading whitespace - this will cause it to be invalid. If copy/pasting an API Key, ensure the whole key is copied. An API Key should be 32 characters long. NOTE: The HTTP Basic Auth username/password is not your OctoPrint username/password. OctoClient uses an API Key to authenticate with OctoPrint, not a username and password. Ensure the username/password combination is correct. Try using the "Open OctoPrint Web Interface" option in the app settings to test to see if you can successfully authenticate to OctoPrint using the set details. Often HAProxy protected instances are configured to use SSL - see above issue under the Hostname and Networking heading regarding trusting custom SSL certificates. Como jogo free fire no iPhone ?